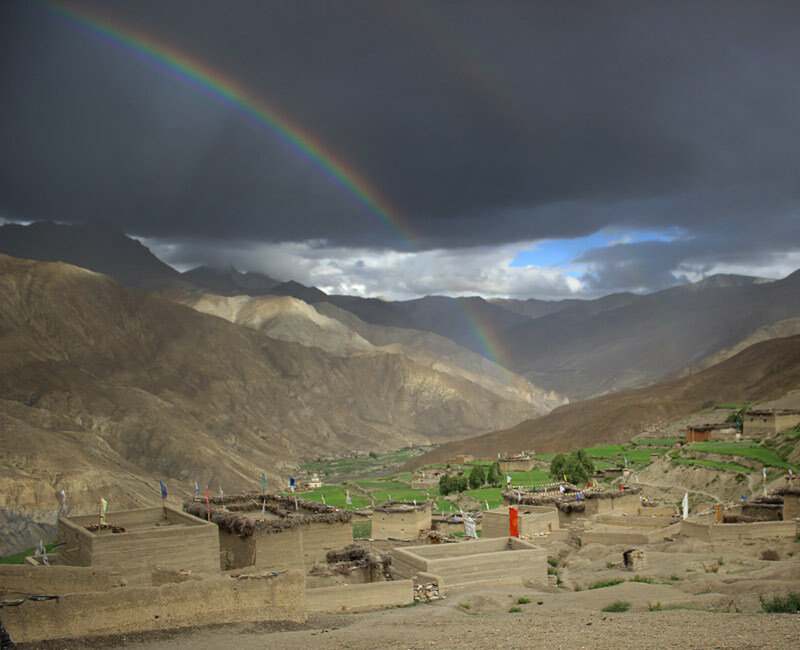 Saldang, like other villages in the Himalayas, is being unduly impacted by climate change. Saldang had no snowfall in the winter of 2015/16. The Saldang La (La is a high altitude pass) also had no snow; normally the snow is so deep that the pass is closed from October to late spring. Without the slowly melting snow there is a desperate shortage of irrigation water. Instead of snow, precipitation sometimes falls as heavy rain and washes away parts of the terraces the villagers have built for their crops. Heavy rainfall was once unknown in this high altitude desert. It has become more frequent, and more destructive. It has seriously damaged the roof of Saldang School and has destroyed parts of the compound wall. Wood is precious, the closest forest is near Lake Phoksundo, a three day mule transport away, so most everything here is made of clay.